Discussion in 'Software News' started by Dave_Music, Mar 20, 2019. The Shreddage 3 Family Just Got Bigger! Revamped and expanded for our cutting-edge Shreddage 3 engine! 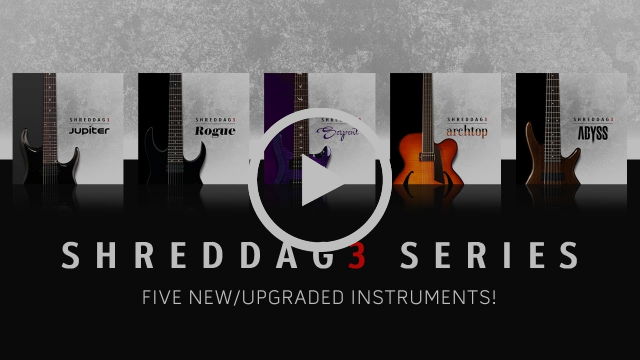 We're proud to announce that five of our best-selling guitar & bass instruments have been upgraded to the Shreddage 3 engine with totally overhauled UIs, superior realism, new sounds, and new content. Owners of the previous versions of these instruments can upgrade for just $20 each. These are totally separate libraries programmed for Kontakt 5.7 with full NKS compatible, remapped samples, and new content; your existing libraries will not be affected. 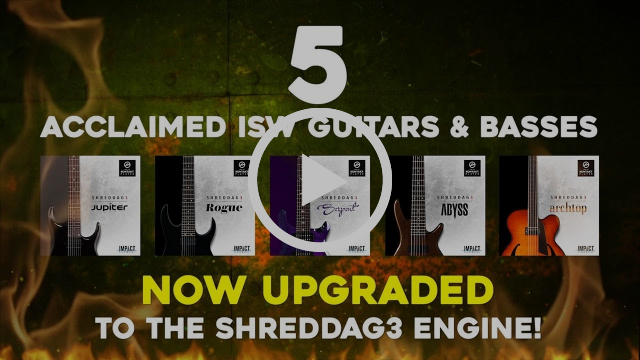 View All Shreddage 3 Instruments! Upgrading from a previous version? Own Stratus and want to crossgrade? Be sure to check your Deals area for coupons! My thoughts exactly. Just incredible. I bought Shreddage 2 on a black friday, it came with Shreddage Bass Picked, Peavey Revalver HPse (like a Revalver III lite), all of them very useful back in the day.